Administrative Law Judge (ALJ), Stella L. Owens-Murrell, Office of Administrative Hearings (OAH), State of California, heard this matter on October 14-15, 2013, in Van Nuys, California. Student was represented at the hearing by Attorneys Vanessa Jarvis and Amanda Selagie. Student’s mother (Parent) was present at the hearing. Student did not attend the hearing. 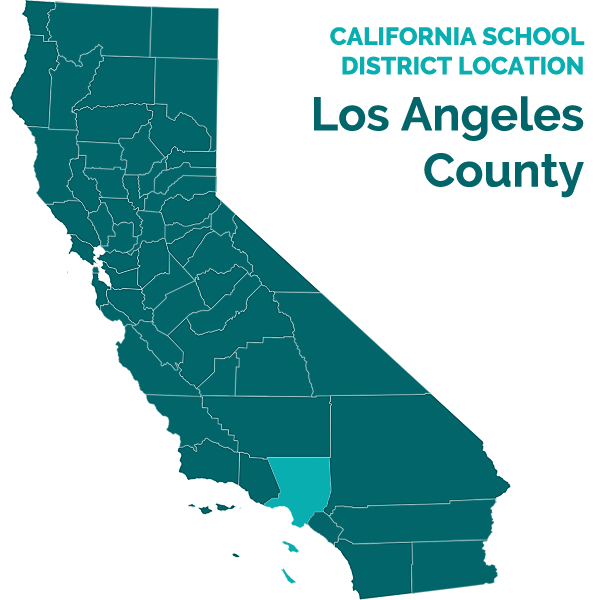 Los Angeles Unified School District (District) was represented at the hearing by Attorney Patrick Balucan. Shari Robertson, due process specialist for District, attended the hearing as a District representative on October 14, 2013 and Francine Metcalf, due process specialist for District, attended on October 15, 2013. Student filed her request for due process hearing (complaint) on July 26, 2013. OAH issued an order granting the parties‟ request to continue the prehearing conference and the due process hearing at mediation on August 9, 2013. At the close of the witness testimony, the parties requested and were granted a continuance to October 29, 2013, to file written closing arguments. The parties timely filed their closing briefs, the record was closed, and the matter was submitted for decision. 1 The issues as set forth in the complaint have been reframed for clarity. Student’s Issue Three alleging breach of the Settlement Agreement dated June 24, 2011 was dismissed for lack of jurisdiction in the prehearing conference order issued on October 4, 2013. At hearing Student withdrew the issue of whether District denied her a FAPE by failing to provide appropriate OT services for the 2011-2012 school year. 2 Although settlement agreements generally are confidential documents, the terms of this Agreement are relevant to Student’s claims and provide the context for the claim she was denied a FAPE because the Agreement was not implemented. In administrative proceedings, the ALJ may admit evidence that is relevant to a determination of the matter regardless of any statutory rule which would render the evidence inadmissible over objection in civil actions. (Gov.Code, §11513, subd. (c).) Moreover, the Agreement contained a confidentiality clause, but expressly excluded disclosures related to enforcement of the Agreement. 1) Did District deny Student a free appropriate public education (FAPE), during the 2012-2013 school year, by failing to provide appropriate occupational therapy (OT) services? 2) Did District deny Student a FAPE during the 2012-2013 school year, by failing to convene an annual individualized educational program (IEP) team meeting? 1. Student was 15 years of age at the time of the due process hearing. She lived with her parents within the jurisdictional boundaries of the District. She suffered injuries from a near-accidental drowning during recreational activity in September 2009, after which she was determined eligible for special education services under the disability category of traumatic brain injury. 2. Student attended Fusion Academy, a private school, during the 2011-2012 and 2012-2013 school years, where she completed the eighth grade. Prior to her attendance at Fusion Academy, she attended Synergy Academy Charter as a middle school student for a brief period in the 2010-2011 school year. She then completed the 2010-2011 school year at John Adams Middle School in the District. 3. On February 16, 2011, Student filed a complaint regarding Student’s educational program and placement against District and Synergy Academy Charter in OAH Case No. 2011020588. 4. On June 24, 2011, Student, Synergy Academy Charter, and District entered into a settlement agreement (Agreement) with Student. The Agreement resolved all placement and service issues raised in the complaint including, but not limited to, a full and final resolution of Student’s FAPE claims through the 2012-2013 school year. 5. Under the terms of the Agreement, District reimbursed Student’s educational expenses, funded Student’s placement at Fusion Academy for the 2011-2012 and 2012-2013 school years, and provided the following services: 1) OT services for up to 36 hours for the 2011-2012 and 2012-2013 school years, in 30-minute sessions, one time per week at a District site that was either near Student’s residence or Fusion; 2) Counseling for up to 36 hours for the 2011-2012 and 2012-2013 school years; and 3) Speech and Language Therapy for up to 150 hours for the 2011-2012 and 2012-2013 school years. District also agreed to convene an annual IEP team meeting on or about February 17, 2012 to review Student’s progress and present levels of performance. District did not have an obligation to make a FAPE offer to Student concerning placement or related services, programs, or placement other than what was already agreed to during the 2011-2012 and 2012-2013 school years. 6. Student agreed that any IEP meeting convened during these school years was for the sole purpose of reviewing Student’s present levels of performance and progress. In addition, the Agreement provided for assessments and an IEP meeting on or before June 1, 2013 to review assessments and to develop an appropriate prospective program for the 2013-2014 school year. Nothing in the Agreement obligated District to convene an IEP on or by February 2013. 7. Thus, the Agreement explicitly provided for a mutual release and discharge precluding all parties and anyone acting on their behalf from initiating or maintaining any actions or proceedings, other than proceedings to enforce the Agreement, arising under the Individuals with Disabilities Education Act (IDEA) through the date of full execution of the Agreement and through the end of the 2012-2013 school year. 8. Mother did not dispute the terms of the Agreement. Mother understood the Agreement provided for a waiver of all FAPE claims through the end of the 2012-2013 school year. 9. Mother did not dispute that Student was to receive a total of 36 hours of OT services at the rate of 30 minutes weekly or 72 sessions to be divided in the 2011-2012 and 2012-2013 school years. Student received approximately 16-18 hours, which would amount to 32-36 sessions of OT in the 2011-2012 school year. 10. Student received approximately 2.5 hours of OT between January and February 2013. In or around February 2013, Student told Mother that she was not happy with the way the new OT therapist worked with her. Mother told the therapist that Student would no longer be coming to receive OT services from him. Mother did not write to District or otherwise take steps to contact District requesting a resumption of OT services. Mother’s testimony that she never intended to discontinue Student’s OT services and she thought that her statement to the occupational therapist was sufficient notice to District to continue Student’s OT services was not credible. Mother did not follow up with District to request another therapist or make other arrangements to resume OT services. As a result, Student did not receive the remainder of the OT services to which she was entitled under the terms of the Agreement. 11. Craig Lee, District occupational therapist, provided Student OT services from November 2010 to June 2012. He and Student worked well together. He was familiar with her OT needs in finger and muscle movement, muscle coordination, self-care, including the ability to manipulate buttons and fasteners, open containers and bottles, and in writing and copying. He assessed Student in the 2010-2011 school year and reported to the IEP team in the April 12, 2011 IEP team meeting that Student’s motor skills had improved. She had adequate and sufficient finger skills to use a pencil, to write legibly, to participate in classroom activities, and to meet the academic demands in classroom setting. He recommended that OT services be discontinued. However, he was aware that as of June 24, 2011, the services were being provided pursuant to the terms of the Agreement and he confirmed that notwithstanding his recommendations, the Agreement provided Student OT services through the end of the 2012-2013 school year. Accordingly, he provided 30 minutes of OT weekly during the 2011-2012 school year. 12. Mr. Lee was not Student’s occupational therapist in the 2012-2013 school year because District assigned a new therapist to Student. Student did not receive OT during the fall semester of the 2012-2013 school year because the newly assigned therapist was on maternity leave. District records also showed Student was subsequently assigned therapist Raymond Cryer, who provided approximately 2.5 hours or 5 sessions of OT starting in January 2013 and ending in February 2013. A notation in the OT records indicated that the balance of OT hours was not used because Mother stated Student preferred not to work with Mr. Cryer as an OT therapist. The OT notes further indicated that Mother also stated Student would not attend OT sessions because she no longer wished to receive OT services provided by Mr. Cryer. According to Mr. Lee, District records further showed there was approximately 9.5 hours or 19 sessions of OT services remaining of which Student did not avail herself because Mother refused to return Student to receive OT and there was no indication that Mother followed up with District with her concerns about the provision of OT services. 13. Karolyn Mimura was employed by District for more than 19 years in various capacities including service as a Teacher and as a Bridge Coordinator. She had been a bridge coordinator for the last 10 years and during the 2011-2012 school year at John Adams Middle School. Among other things, her duties included arranging the school year calendar and scheduling and attending IEP team meetings as the Administrator Designee. She attended the February 21, 2012 IEP team meeting in an administrative capacity. She was aware of the Agreement and knew that the Agreement required District to convene an IEP team meeting on or before June 2013. District did not convene an IEP in 2013. There were some discussions concerning scheduling an IEP meeting in 2013 but Ms. Mimura did not recall why the IEP meeting was not scheduled or held. 14. Mother believed District denied Student a FAPE because it failed to convene an IEP team meeting in February 2013. Mother did not explain at hearing why she believed District was required to convene an IEP team meeting in February 2013. She further believed that because District did not convene an IEP team meeting or develop an IEP at all in the 2012-2013 school year for the 2013-2014 school year she was compelled to secure a placement for Student for the 2013-2014 school year. She unilaterally enrolled Student at USC Charter Hybrid High School (Hybrid High) where Student has been attending since August 2013. Mother provided Hybrid High with the last agreed-upon IEP of February 21, 2012. According to Mother, Student’s OT skills deteriorated. Student had trouble opening containers and had a weak pencil grip. Mother also explained that despite having provided the February 2012 IEP to Hybrid High administrators, Hybrid High failed to implement Student’s program and services, which caused Student to be deprived of access to the accommodations and curriculum provided in the IEP and caused Student to be bullied by teachers and other students. 15. Hybrid High is an independent charter school with no connection to District. As such, District had no control over Student’s educational program or the provision of a FAPE at Hybrid High. As discussed below, the issues raised by Student are impacted by the Agreement, such that the issue of OAH jurisdiction must first be resolved. This decision first addresses the jurisdiction issue before turning to the substance of Student’s issues. 1. In a special education administrative due process hearing, the party seeking relief has the burden of proving the essential elements of its claim. (Schaffer v. Weast (2005) 546 U.S. 49, 56-62 [126 S.Ct. 528, 163 L.Ed.2d 387].) Here, Student has the burden of proof as to the issues raised in the complaint, and District has the burden of proof to the extent it contends OAH lacks jurisdiction. 2. District asserts as an affirmative defense that OAH lacks jurisdiction to decide the issues in this case. It is undisputed that Student waived all FAPE claims by the terms of the Agreement. It is also undisputed that the Agreement explicitly provided for a mutual release and discharge precluding all parties and anyone acting on their behalf from initiating or maintaining any actions or proceedings, other than proceedings to enforce the Agreement, arising under the IDEA through the date of full execution of the Agreement and through the end of the 2012-2013 school year. Student agrees OAH lacks jurisdiction to enforce settlement agreements, but contends that District did not implement the terms of the Agreement resulting in denial of a FAPE. 5. In Pedraza v. Alameda Unified Sch. Dist. (N.D.Cal. March 27, 2007) 2007 WL 949603. ), the United States District Court for the Northern District of California held that OAH has jurisdiction to adjudicate claims alleging denial of a free appropriate public education as a result of a violation of a mediated settlement agreement, as opposed to “merely a breach” of the mediated settlement agreement that should be addressed by the CDE’s compliance complaint procedure. 7. District persuasively argues that the facts in Pedraza are distinguishable from the facts in the present case. Here, the Agreement clearly stated that the Agreement did not constitute an admission by District of what is a FAPE for Student. The Agreement specifically acknowledges District will not have an obligation to make a FAPE offer to Student concerning placement or related services during the two years Student attended Fusion Academy. In addition, the parties waived all educational claims arising under the IDEA from the date of full execution through the 2012-2013 school year. In contrast, in Pedraza the settlement agreement provided that the agreed upon placement and services would constitute a FAPE. Therefore, District argues that FAPE is not an issue in the 2011-2012 or the 2012-2013 school years and Student’s complaint is nothing more than an attempt to enforce the terms of the Agreement under the guise of alleging District denied Student a FAPE. 8. The evidence supports such a conclusion. The undisputed, unambiguous language of the agreement shows that the agreement did not memorialize a FAPE for Student and Student waived all FAPE claims through the end of the 2012-2013 school year. Thus, unlike in Pedraza, there is no FAPE dispute for OAH to have jurisdiction over. Further, although not necessary for analysis of the terms of the Agreement, the evidence at hearing showed that Student understood the plain meaning of the agreement. Accordingly, Student’s claims covering the period from the 2011-2012 to the end of the 2012-2013 school year are denied for lack of jurisdiction. As discussed in Legal Conclusion 4, above, Student’s recourse would be to seek redress through the CDE’s compliance complaint procedure. 9. Alternatively , as discussed below , assuming arguendo that OAH has jurisdiction to determine Student’s FAPE claims, Student has failed to establish that she was denied a FAPE when Student did not receive all agreed upon OT services during the 2012-2013 school year and did not establish that she was denied a FAPE because District did not convene an IEP team meeting during the 2012-2013 school year. 10. In Issue One, Student contends: 1) District’s failure to implement the terms of the Agreement requiring OT services was a material failure since it resulted in Student missing out on OT services for an entire academic year which denied Student a FAPE; 2) A school district may cease providing related services only after receiving written notice from parent revoking consent to such services; 3) Mother did not revoke consent to OT services; and 4) District denied Student a FAPE when it failed to give prior written notice of its intention to discontinue OT services. In Issue Two, Student contends that District’s failure to convene an annual review IEP meeting in February 2013 left Student without a program and placement for the 2013-2014 school year and significantly impeded Mother’s opportunity to participate in the decision making process regarding the provision of FAPE. District contends it did not owe a FAPE for the period in dispute because Student waived all FAPE claims including placement and related services under the terms of the Agreement. District also contends it had no obligation to provide a FAPE in that Mother unilaterally withdrew Student from OT services and unilaterally placed Student at an independent charter school where Student received a program and services for the 2013-2014 school year. 11. It is undisputed that Student did not receive all of the agreed upon OT services and that an IEP meeting was not convened in the 2012-2013 school year. However, as discussed below Student has not met the burden of proof on either claim. 19. Where a student has an implemented IEP, the district has a continuing duty to review and revise the IEP if the prior year’s IEP is under administrative or judicial review even if parents do not cooperate. In Anchorage School District v. M.P. (9th Cir. 2012) 689 F.3d 1047 (Anchorage), a dispute arose out of an IEP that was implemented for the 2006-2007 school year. The parties attempted to revise the IEP for the 2007-2008 school year without success, and parents filed a due process complaint. Meanwhile, district unilaterally postponed any further efforts to develop revise the outdated IEP for student pending a final court decision in the matter. The district’s refusal to cooperate in updating the IEP was found to have contributed to the parents‟ need to secure private tutoring for student. Ultimately, a district court found that the failure to develop an IEP was attributable to parents‟ litigious approach. On appeal, the Ninth Circuit held that the district had an affirmative duty to review and revise, at least annually, an eligible child’s IEP. (Anchorage, supra, 689 F.3d at pp. 1055-1057; 20 U.S.C. § 414(d)(2)(A); 34 C.F.R. § 300.323(a).) School districts “cannot excuse their failure to satisfy the IDEA’s procedural requirements by blaming the parents.” (Anchorage, supra, at p. 1055, citing Target Range, supra, 960 F.2d at p. 1485.) The court further noted that to conclude otherwise would subvert the purposes of the IDEA and sanction a school district’s unilateral decision to abandon its statutorily required responsibility to the detriment of its students. 20. Here, Van Duyn, which stands for the proposition that a denial of a FAPE can occur from a material failure to implement an IEP, does not apply. Van Duyn involved an alleged failure to provide a program and services pursuant to an IEP. Here, the Student’s OT services were to be provided under the terms of the Agreement that by its terms was not an offer of a FAPE. Accordingly, because Student has presented a pure question of whether a settlement agreement was breached, and did not present evidence showing that the amount of OT services in the Agreement was a FAPE, relief is not available under Van Duyn. In sum, the failure to implement the Agreement, without more, cannot be said to be a failure to implement a FAPE memorialized in an IEP. The regulation relied on by Student concerns the situation where a parent has, after initially consenting to special education services, completely withdraws consent for special education. It is under that circumstance that a school district would be required to provide prior written notice prior to terminating all services. Here, the regulation on its face does not apply because the facts showed parents never withdrew consent for the provision of special education services. Instead, District attempted to continue provision of OT services and had a therapist ready and willing to provide the services. The credible testimony of Mr. Lee established that Mother unilaterally withdrew Student from receiving OT services and Mother by her own admission merely expressed her intentions to the therapist and did not take steps to contact District with her concerns about the resumption of Student’s OT services. 22. In sum, under these circumstances, where the dispute is about the provision of services agreed to in a settlement agreement that also contained a waiver of IDEA claims during the period in dispute and an acknowledgement that the services were not a FAPE, the IDEA regulations regarding consent to implementation would not apply. 24. In Issue Two, Student contends that she was denied a FAPE because an IEP team meeting should have been held during the 2012-2013 school year, specifically in February of 2013. Here again, the evidence contradicts Student’s claims. Mother did not dispute the terms of the Agreement and provided no evidence why she believed District was bound to convene an IEP team meeting on or about February 2013. The Agreement did provide for an IEP to be held by June 2013, and the evidence showed no IEP team meeting was convened during the 2012-2013 school year. 25. In light of the Agreement that waived all FAPE claims through the end of the 2012-2013 school year, and the language of the Agreement contemplating an IEP team meeting in June of 2013, Student cites to no authority that would have required District to hold an IEP team meeting in February of 2013. Regardless of whether the Agreement called for an IEP team meeting to be held by June of 2013, Student waived any claim of a denial of a FAPE during the 2012-2013 school year. Thus, as set forth in the analysis of OAH jurisdiction, at most Student’s Issue Two can be read as a settlement enforcement claim. Education Code section 56507, subdivision (d), requires that this Decision indicate the extent to which each party prevailed on each issue heard and decided in this due process matter. District prevailed on all issues.